On the Alabama/Georgia state line sits the well known Army post, Fort Benning. If you have orders to Fort Benning this PCS season, you should feel nothing but excited. Just off post is Columbus, Georgia, a lively city with plenty of activities. Take a walk through history in downtown Columbus, then sign up for a foodie tour where you get a delicious taste of the local culture. Or do something the kids will really love and go white water rafting, zip lining, or kayaking on the Chattahoochee River. And while the Fort Benning area offers plenty to keep you engaged in the local community, you’re also near a handful of fun weekend getaway destinations. Head up to Atlanta for some big city living, Talladega for NASCAR, or drive south to Panama City beach to get your toes in the sand and soak up some of that beautiful sun. Ready to start looking for your next home in this thriving area? *Note: While this home is no longer available, scroll down to view even more listings in the area! If you're looking to create space between military and home life, check out this jaw-dropping home in Hamilton. Create your own oasis on this gorgeous 1.43-acre wooded lot in Harris County. Enjoy privacy and family fun with the 11-acre community lake just behind the property. But there’s more to this home than its ideal location; it’s absolutely stunning inside and out. 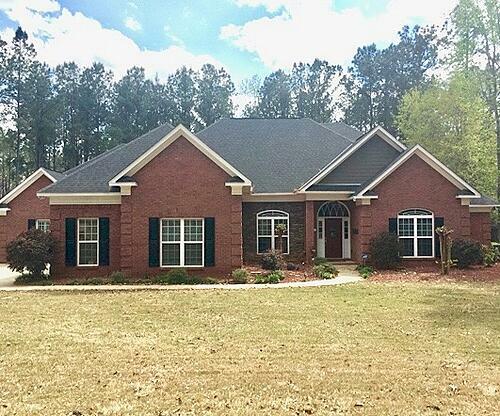 Experience love at first sight when you pull up to this all-brick, five-bedroom, three-and-half bathroom custom home. Appreciate the benefits of the open floor plan while you cook in the kitchen and join in conversation with your guests mingling in the living room. 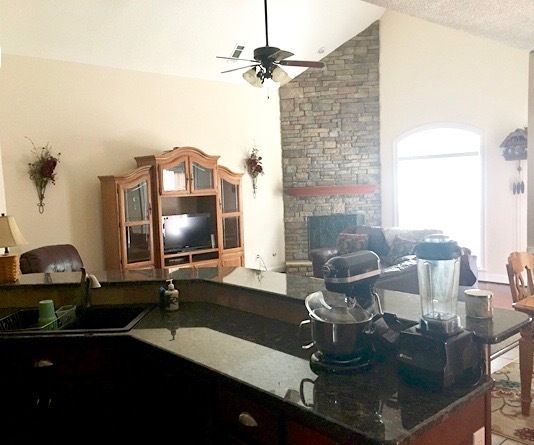 And with the number of gorgeous finishes like beautiful cabinets, granite counter tops, double ovens, large pantry, island, and stainless steel appliances, this kitchen becomes a place you want to be rather than a place to have to be. 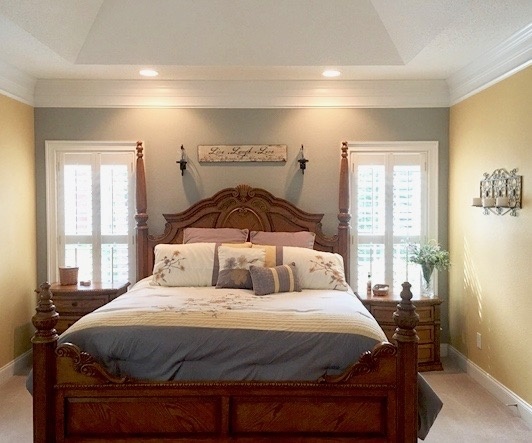 Big enough to host a king bed, sitting area, large walk-in closet, and bathroom with a dual sinks and a soaking tub, this master suite will become your own private retreat. 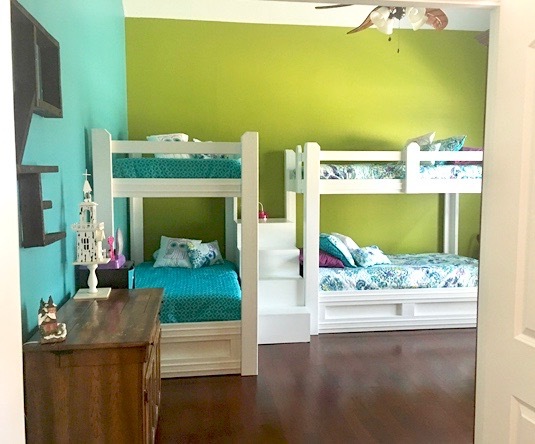 Three of the other bedrooms have large closets, while the fifth bedroom is a converted formal living room with hardwood floors, a built-in closet, and french doors. 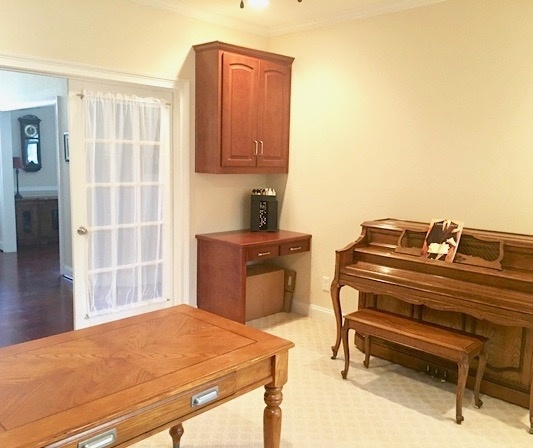 Use it as a bedroom, playroom for the kids, or an additional home office. You’ll have plenty of room to entertain with two patios out back and a big, beautiful yard to let the kids run around and explore. Bonus: Large three-car garage with plenty of extra storage space. 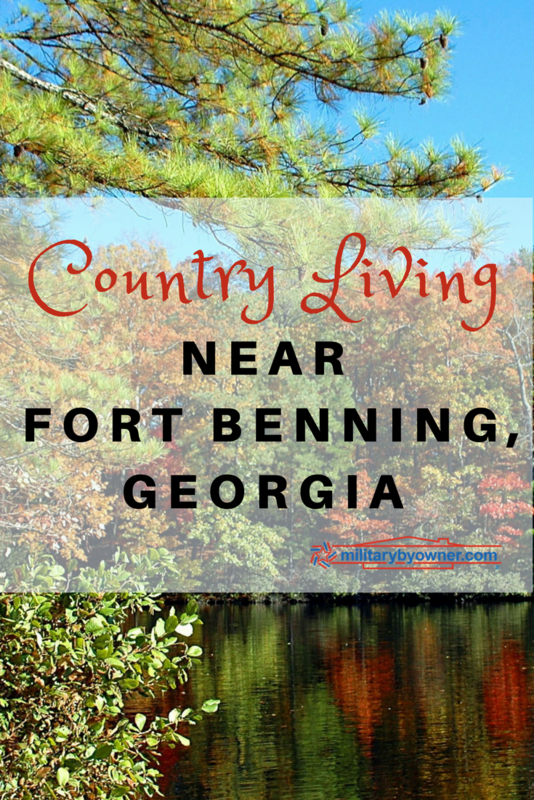 Want to explore more options near Fort Benning? Click below!